This trip was planned in one way, shape and form for more than 9 months. In fact, the miles we used for this trip had been earmarked for a trip to Maldives this past May, but we instead decided to change that to a trip that would be on 2 Emirates A380s. Where to visit in Asia. This was a pricey trip for us. Not the priciest trip of the year but, it was pretty gucci compared to how we have done things in the past, one aspect of that, is the fact that round trip on Star Alliance carriers for 135k in First is virtually gone (thanks United!). 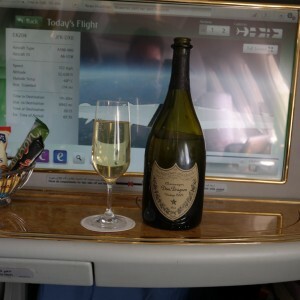 The other reason, was because we (ok, fine, I) really, really wanted to fly Emirates A380 in First Class, and fly out of the Emirates A380 terminal in Dubai. All of the options we used for redeeming points and miles for this travel are still available, so if you saw aspects of the trip that excite you, I’d encourage you to make it happen for yourself, you can. Feel free to leave a comment if there were aspects of the trip or trip report that you liked, as well as anything else you’d like to share about.